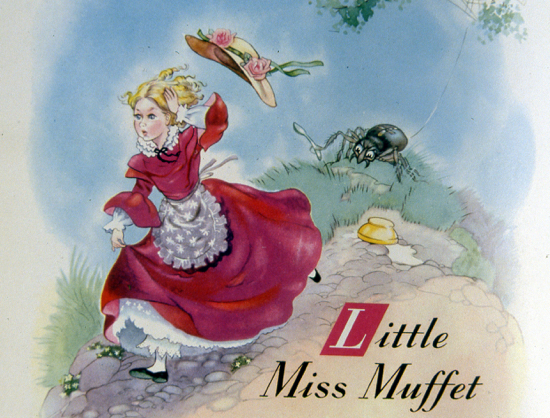 North Mymms News: Was Little Miss Muffet a local girl? Yesterday, the artist Scott Gustafson and his wife, Pat, gave the site permission to publish Scott's wonderful painting of Little Miss Muffet. It is the painting that appears at the foot of the piece below (not the top of that piece or the top of this article). Scroll to the bottom of the attached feature to see Scott's work. The piece was written by Australian journalist, Eric Shackles.